Attending to sports injuries has never been easier. 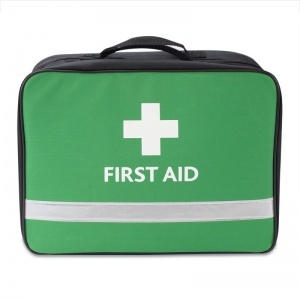 With the Relisport County First Aid Kit, you are safe in the knowledge that you have all the tools needed that go beyond the minimum HSE requirements and provide sports players with the most efficient level of care. What Are the Content of the Stadium Kit? The contents of this kit can be stored in zipped pouches, with plastic windows to see where your materials are at a quick glance. 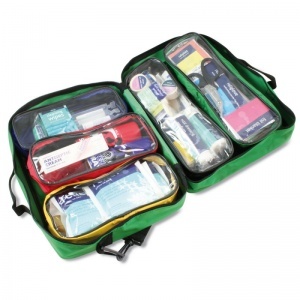 The kit takes form of a green Paris bag, complete with strong carry handles, shoulder strap and reflective strip. 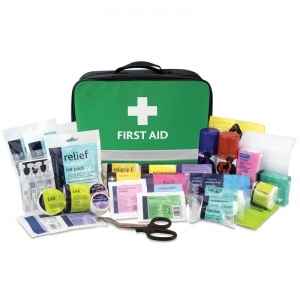 The Relisport Stadium First Aid Kit is usually dispatched via First Class Royal Mail and delivery should be within 1 to 3 working days.